This house of two storeys has approx. 85 m2. On the ground floor there is the entrance hall, a combined dining and sitting room with flat screen satellite TV with radio, free Wi-Fi and rental safe as well as the fully equipped kitchen with microwave, oven and washing machine. The second floor is composed of the master bedroom with double bed and balcony, a single bed room, a small study/further single bed room and the bathroom with shower. 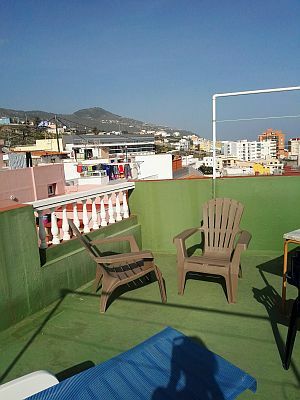 From the large, furnished roof terrace you have a panoramic view over Santa Cruz, the mountains and the sea.